I love the blanket for Owen, and I love his name. After all he shares it with my youngest. totally adorable - love the balloons. you're wonderfully 'da woman in this endeavor. i look forward to more. Congratulations! You did it!! 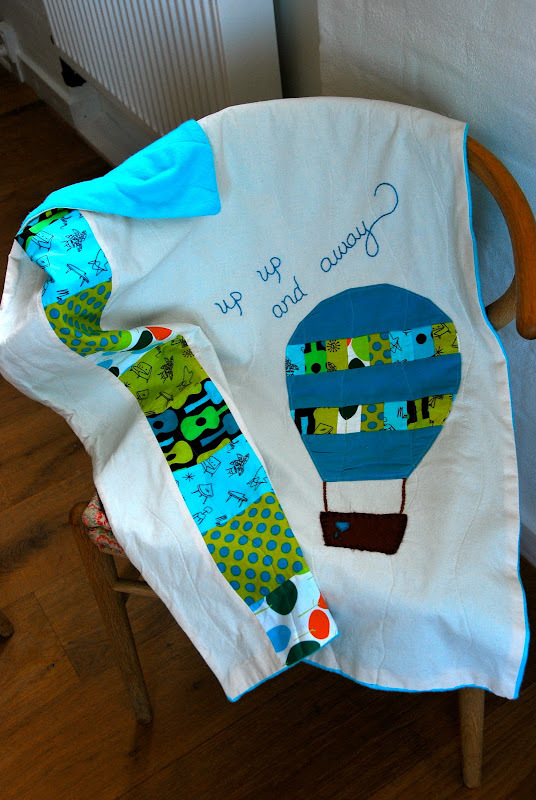 I love the Up blanket, and am already thinking of an excuse to buy it! 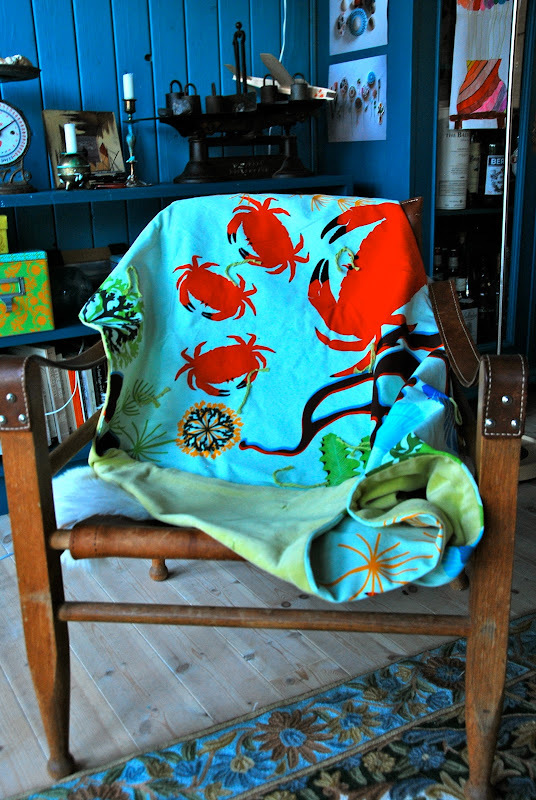 Our blankets were a complete success by the way, everyone (children and adults) love them! Thanks so much! I think that's a great creative goal. I shoot for resolutions having to do with creative expression, fun, being present. Way better than starving or exercising to exhaustion in the quest for body perfection. Congratulations - and may the next year be satisfyingly (not obsessively) creative as well. Catching up with some recent posts - what a fine year you have had! I didn't catch exactly what is going on with preparing your house for sale, but will try to keep a bit more on top of your (may I say prolific) blogs. And I think your recent photographs are great - I particularly like the stairway spiraling downward. I am in love with the chocolate cake block. LOVE LOVE LOVE! Congratulations for finishing 100 creative items! Thanks so much for the inspiration, I was reading one of your blog posts earlier this year. It's encouraged my starting a project of my own.